Hailing from the Greek capital, Thodoris Triantafillou has excelled in all corners of the industry after devoting his life and career to a creative output that illustrates a concoction of influences from across the musical sphere. Recognized by peers and fans through a stream of compelling releases on labels such as Rhythmetic and Souvenir, it’s the composition of the philosophy behind a record, the raw energy that electronic formats have to offer, and an exploration of the inner self that makes Thodoris’s productions stand out amongst the rest. 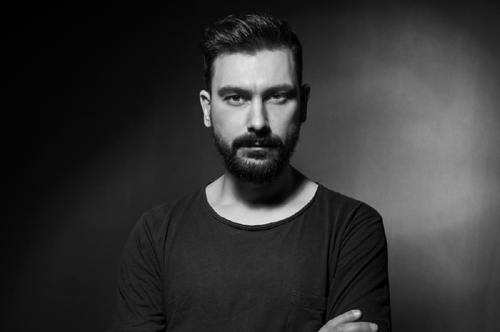 Over the past 12 months, Thodoris’ position within the dance music industry has propelled after breaching the national Greek iTunes Top 10 with “The Way”, co-produced with regular associate, CJ Jeff. One milestone onto another, Thodoris then championed all niche’s that lay in the DJ/Producer pathway with the outlook of always pushing forward as an artist to the next task at hand. Testament to this, are the events Thodoris has been hand picked for, from peak time performances at some of the most notorious European mainstays, to the sun fuelled sets that festivals and balaeric affairs alike provide. As time pushes on and music evolves, as does Thodoris. Keeping the unrelenting yet satisfying pace of the past, he looks to the horizon as awe inspired by the beautiful scene as day one. Already cemented as coordinator to Athens based Rhythmetic Records, new monuments will reveal themselves through imprints such as Bedrock and Lapsus in the following year. 2014 further brings a new light in the form of “The Glory Hill Music Studios”, from which you can expect new personal productions and the birth of a new imprint that promises to showcase a format that motivates the man behind Thodoris Triantafillou.